Home » Car Warranty » What is Covered by Your Chrysler Extended Auto Warranty? Whenever you are thinking about purchasing a new vehicle, the quality of the manufacturer’s warranty usually plays a significant role in your decision. A lot of vehicle manufacturers these days offer powertrain warranties and roadside assistance, but it’s not uncommon for a manufacturer’s warranty to leave some things out. Chrysler offers a 5 year, 100,000 mile powertrain limited warranty on most of its vehicles. When this Chrysler powertrain limited warranty has expired, you might qualify for a warranty from a qualified third-party provider. repair facility of your choice for vehicle repairs. That said, here is some more information on Chrysler’s 5 year, 100,000 mile powertrain limited warranty on most new Chrylster vehicles. Chrysler’s powertrain limited warranty covers the cylinder block and all of the internal parts of your Chrysler’s gasoline engine. Exhaust manifolds and the intake are also covered in the powertrain limited warranty for the first five years or 100,000 miles of ownership. The oil pump, water pump and supercharger in your new Chrysler are also protected under the powertrain limited warranty. The transmission case, torque convertor and speed sensors are covered by the powertrain limited warranty. Speed and pressure sensors are also protected by warranty. Chrysler’s drive systems and internal parts are under warranty on most new Chrysler cars and trucks. You are covered with Chrysler’s roadside assistance if you purchased a new Chrysler, Jeep, Ram or Dodge. Roadside assistance is applicable for the first 5 years after purchase or until you put 100,000 miles on the odometer, whichever comes first. Roadside assistance covers flat tires and fuel delivery if you ever run out of gas. A service provider will come out to help replace your flat tire with a temporary replacement if you encounter a problem on the roads. A service provider might also be dispatched to bring out a maximum of two gallons of fuel to help you get your vehicle to the nearest gas station. If you are locked out of your vehicle or if you need your battery jumped, then a service provider could also help you get on your way. Roadside assistance covers frozen locks preventing your from getting into your vehicle as well as keys trapped in your car. A service provider can also be dispatched to jump your battery if it goes dead while you’re on the roads. The Mopar Vehicle Protection plan is an extended warranty offered by Chrysler to give you added peace of mind. Mopar Vehicle Protection cover a range of time and mile limits – the typical Mopar Vehicle Protection plan is seven years and 100,000 miles. 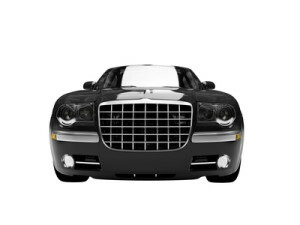 You can purchase new vehicles plans on your Chrysler in the initial four years of purchase or 48,000 miles. There may be surcharges, though, added to warranties on vehicles after one year of ownership or 12,000 miles has been put on the vehicle. It often makes sense, though, to purchase an extended warranty from a third-party provider. The major difficulty for most people looking to purchase an extended warranty from a third-party provider is finding a reliable, affordable warranty provider that will service all of their claims. We recommend going with the company that has a history of many approved claims and has been in the business for more than five years. Chrysler’s limited powertrain warranty offers protection against a host of possible problems, but you might want to get additional coverage with an extended warranty. Mopar Vehicle Protection is one extended warranty option, or you could opt for a reputable, third-party extended warranty provider. Although Chrysler’s limited powertrain warranty covers the first 100,000 miles whereas Honda’s warranty only covers the first 60,000 miles, you might want to consider a third-party extended warranty. Many third-party warranty providers offer 24/7 customer service and repairs at a certified repair shop. Consider some of the options below.